Convenience is placed before you since Arkadia is at the forefront of the modern shopping experience. Placed on 4 levels, the concept of Arkadia is created with the shopper in mind since shops are easily accessible and also placed within an enticing surrounding that invites visitors to Arkadia, for the experience as well as the shopping. One can find many Gozitans and tourists alike, having tea or breakfast there during the day. 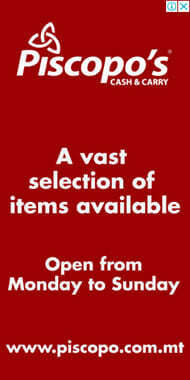 It is also conveniently located since it is strategically placed along Gozo’s main commercial road, Republic Street. It is only a stone throw away from the central bus station and the central square of Victoria, It-Tok (Independence Square). Parking too, should not be an issue, when getting to Arkadia, as on-street parking is available as well as a dedicated parking lot, just outside its gates. Arkadia is at the core of the commercial heartbeat of Gozo! 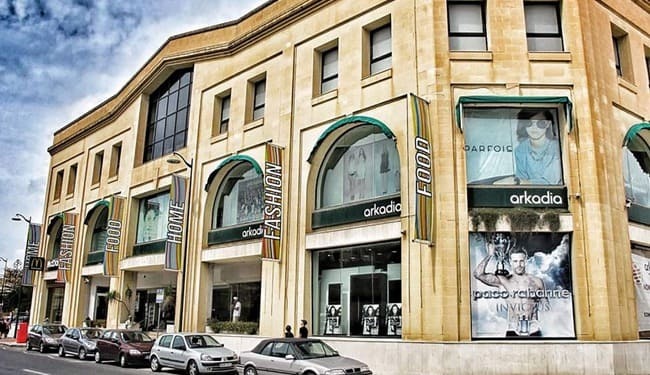 Anything from a Vodafone outlet, to a homeware shop, spread over 2 floors as well as more than 6 prime fashion, sport and accessories outlets such as Jennyfer, Pimkie, Piazza Itlaia, Peacocks and Orsay, and a top quality food store in the basement is just a taste of what you will discover at Arkadia on Gozo. You are offered many choices and surely will find what you are looking for. Arkadia Food Store, that partnered with Waitrose since 2013, boasts a fine charcuterie and delicacy counter as well as one of the best fishmongers around and will be able to delight even the finest of palates. Arkadia Foodstore is the sole providers of Waitrose’s exclusive ranges and makes Arkadia Gozo, the address for quality food products at compatible prices to date. On the other hand, the choice is varied, and one may also stop over to enjoy a quick meal or snack and drink at McDonald’s with family and friends. If you enjoy people watching, the McDonald’s terrace might be just it for you, as it offers a good view of people coming into Arkadia or visiting Gozo’s capital. Although you might think Arkadia started in Malta, to the contrary it started in Gozo and spread to Malta posthumously. The company was established in 1998 and is held by the Mizzi Organisation, who have since then established themselves as the go-to address for quality at the best prices across all retail and convenience categories to date. Arkadia Gozo is one of three more outlets in all of the Maltese archipelago and is always in unbeatable prime locations.